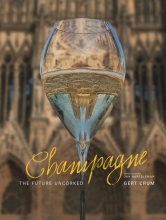 An informative and intriguing book of Gert Crum, as author and Jan Bartelsman, as photographer, about the recent changes in Champagne. A book about Champagne, its exciting producers and their best champagnes. This book is almost a sociological study of the latest developments regards domaines and maisons, the rapidly growing interest in terroir champagnes and the need for a more organic viticulture. This is a guide of champagne producers who matter, with hundreds of tasting notes. Above all, this book is a gorgeous book of pictures of the country, the people and their wines, lovingly detailed with Cees Nouwens` striking illustrations.